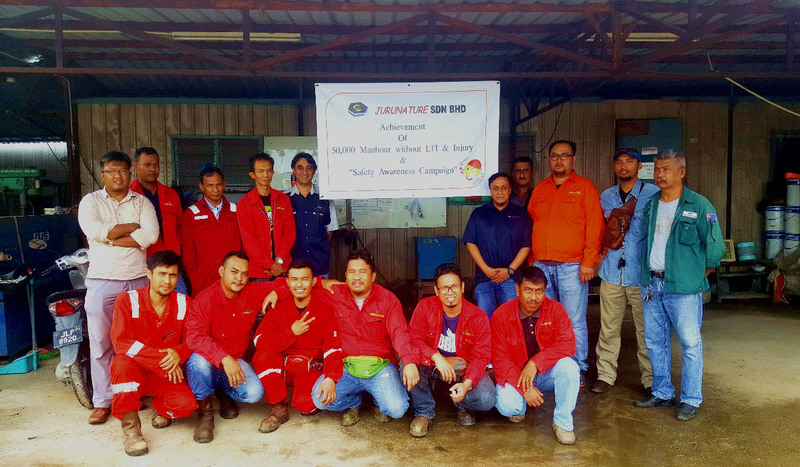 At JURUNATURE, we believe that Health, Safety & Environment forms an essential priority in conducting our business. The health, safety and well-being of our employees is of utmost importance and as a company, we continually work to ensure all employees place the same emphasis towards health and safety during the course of conducting our business. We also firmly believe that the co-operation and commitment of all employees is essential in achieving the highest standard in Health, Safety and Environmental management. In ensuring a sustainable safety culture, we empower our staff to continually improve and spread the safety message by ensuring they themselves work safely and in accordance with the company's safety procedure requirements and legislative requirements. JURUNATURE is committed to ensuring our goal of "Zero Harm to People, Zero Damage to Assets and Environment". We are therefore humbled but confident that with our committed efforts and your strong support, we will continue to become Your First Choice Partner in Oil & Gas.